In 2014, the Spokane Comprehensive Plan, essentially the guiding document for all development that takes place in the city, will be extensively revised. As part of this major initiative, the City has unveiled Link Spokane, the integrated transportation and utility component of the Comprehensive Plan, in a surprisingly well-produced brochure. The plan makes note of various “best practices” in comprehensive transportation and utilities planning, even citing such case studies as the Crestline project, which took place during the summer and fall of 2013. 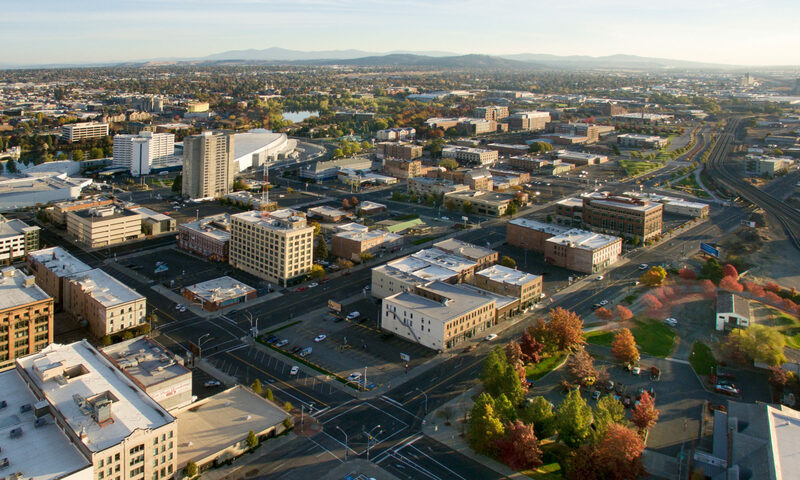 That project brought a new road surface, 36-inch water main, and various utilities and stormwater improvements and enhancements as part of the City of Spokane’s new integrative approach to investment. In addition, the document addresses plans for transit enhancements, from bus rapid transit (which we oppose as a sole solution) to streetcars. Interestingly, it does not address the need for a major region-wide transit improvement like light rail, which was narrowly rejected by voters in 2006 in an advisory vote and has not since gotten much attention from groups outside of InlandRail. Still, light rail as a concept remains exceptionally tantalizing, especially given studies that show that bus rapid transit and other “non-fixed” transit modes result in less transit-oriented development than similar fixed modes, such as light rail, heavy rail, and rapid transit. Unfortunately, it seems that short-sightedness within the revised Comprehensive Plan will again rule the day. To voice your concerns and express your support for regional light rail and city-wide transit and transportation investment as part of a holistic Comprehensive Plan, you can attend one of several drop-in community workshops. In addition, on Thursday, February 6 from 6:00p-7:00p, you can watch live on CityCable5 and call-in to voice your concerns. We are a growing Spokane, and we deserve a transit system that understands these realities. It’s time for transportation investment that recognizes the potential that exists when bus rapid transit, light rail, streetcars, electric trolley buses, traditional buses, and all other modes work together. It’s time for us to build a better Spokane.